Oh, they’re also freakin’ adorable. 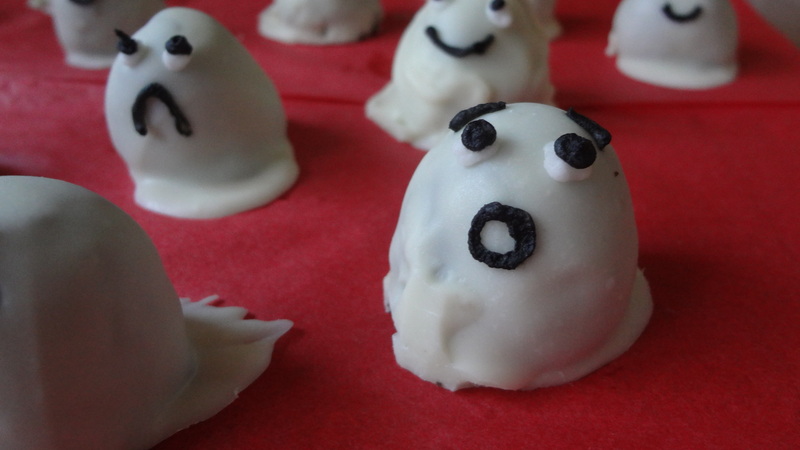 These are the perfect Halloween treat – easy to make, and perfect for little fingers to grab. And did I mention the creamy Oreo inside? Oh, I did? Hmm…well, better stop repeating myself and find something else to occupy my time. Like eating more of these. 1. Put the Oreos and the cream cheese in a food processor and pulse until well mixed. You should have a dough-like consistency. 2. Roll the Oreo filling into small balls, about the circumference of a quarter. Place the balls on a baking sheet lined with parchment paper and freeze for 30 minutes. 3. After the Oreo balls are firm, melt your candy melts according to the instructions on the package. Place an Oreo ball on the tip of a fork and dip the ball into the melted candy melts. 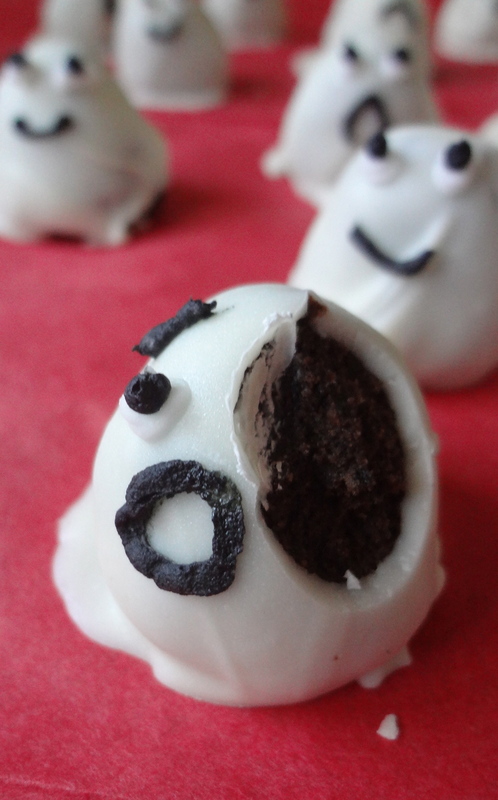 You could also use a spoon to spoon the candy melts over the Oreo ball, either way works. Tap off the excess gently, but don’t go overboard, the excess helps form the dragging sheet look. 4. Carefully slide the coated truffle off the fork and on to a sheet of parchment paper. Spoon a little extra candy melt around the bottom if you want to get more of the dragging sheet look. Continue with the remaining Oreo mixture until all the ghosts have been formed. 5. 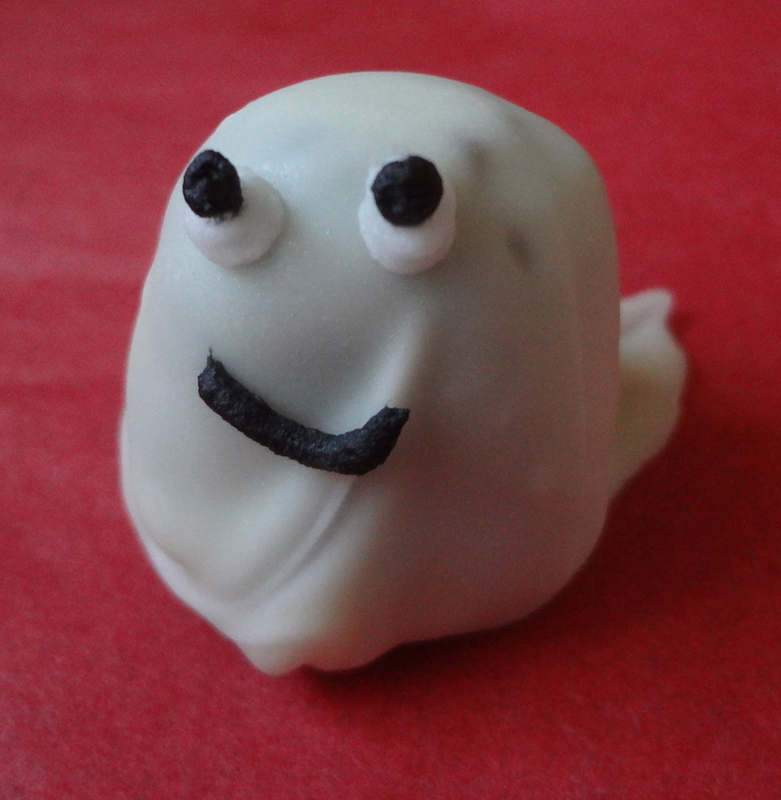 After the ghosts solidify (about 10 minutes) use the black and white piping frosting to pipe on faces. 6. Eat repeatedly until you’ve solved your ghost problem. 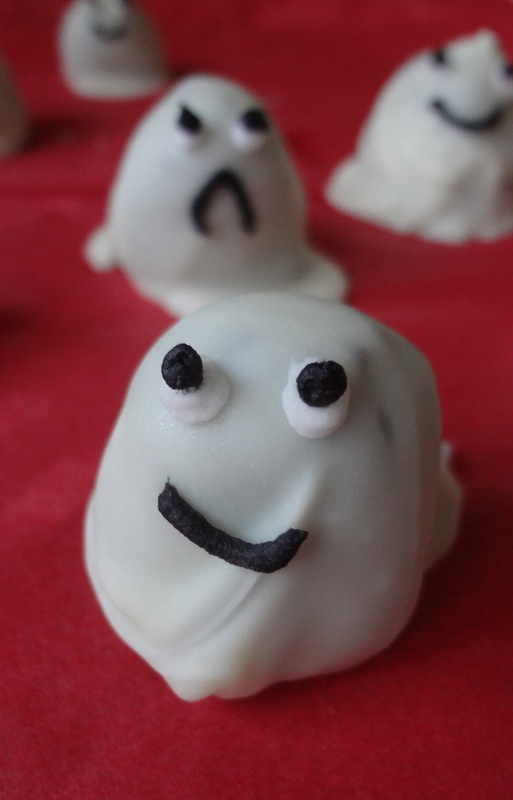 This entry was posted in Uncategorized and tagged candy melts, Chocolate, cream cheese, Desserts, fast and easy, ghosts, Halloween, Make ahead, Oreo, spooky treats, Truffles, White chocolate by theculinarycapers. Bookmark the permalink.